Perhaps the most important section of our website in the short term! We need your financial support to achieve the goals our neighborhood as pledged to invest in. Please help pay it forward by donating to the new decorative street light program. 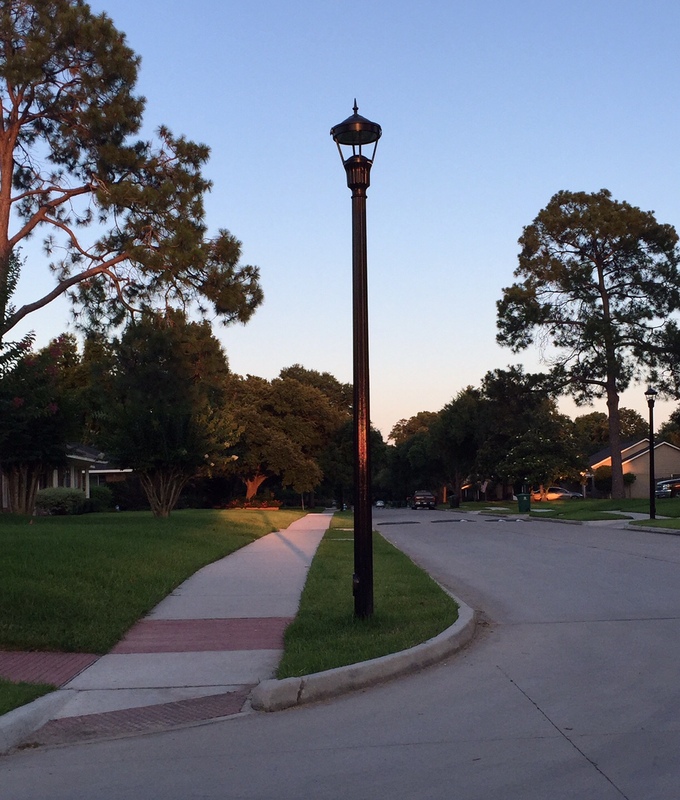 As part of the drainage project, our neighborhood has an option to upgrade the current light poles from what we have now to ones similar to our neighbors in Woodside, Bellaire and West University. Payment options include a one-time payment of $300.00, or 3 payments of $100.00 over the next 18 months (before our decorative street light bill comes due). Invest in beautiful Woodshire today! As a token of appreciation, the BOD has created these Yard Signs for you to proudly exhibit in your yard after receipt of your donation. The Green Hooray Yard Sign is available with any $300 donation. The Signature Black Dual Lamp Yard Sign is available with any $350+ donation!